The opening of the second bilingual day care Les Petits Kiwis will be in September 2018. We are hiring early childhood educator to welcome our little kiwis in Saint Melaine sur Aubance (Lotissement la mécrénière – rond point rocade sud). You are Auxiliaire de puériculture with an experience of 2 years in early childhood education center (crèche, halte garderie, nursery), you speak English and you would like to join a dynamic team and invest yourself in a bilingual project ? You have the CAP petite enfance with an experience of 2 years in early childhood education center (crèche, halte garderie, nursery),you understand English and you would like to join a dynamic team and invest yourself in a bilingual project ? 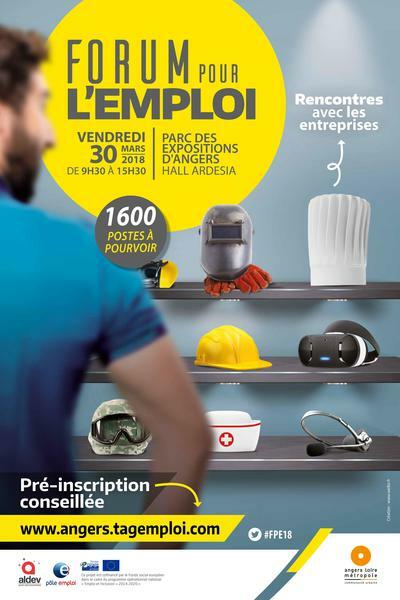 Come to meet us at the forum pour l’emploi on Friday March 30th from 9:30am to 3:30pm in hall Ardesia at Parc des expositions.